So why exactly is English Harbour a slice of heaven? Well not only do you get to dive into the areas huge historic past, but you are also surrounded by beautiful national parks and calm waters & untouched beaches. Why it is called English Harbour? You’re probably wondering how English Harbour received its name? Well, back in the early 1700s, the British Navy began to use the area as a dockyard. Designed to protect and maintain their ships, it was the perfect place for them to hide their fleet and use them as protection from the hurricane winds and enemy ships thanks to its strategic location at the most Southern point in Antigua. 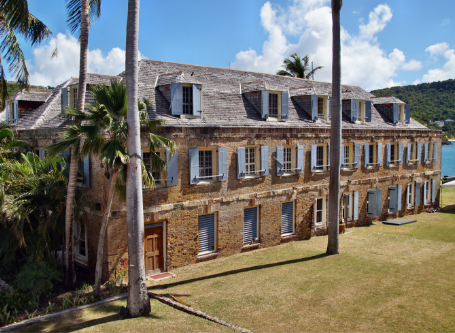 A notable point to make is that the Naval Dockyard or ‘Nelsons Dockyard’ has been deemed worthy enough to become a Unesco World Heritage, which shows just how much history and importance this beautiful area in Antigua holds. So just what exactly is there to do here? Nelson’s Dockyard has been receiving renovations since 1951, bringing it back to its former glory, after years of being left to rot in 1889. The site now has a luxury hotel based in the Georgian-Era building which used to be a Copper & Lumber store. The Naval Officer’s house is now hosting to a fascinating museum, with Officer’s quarters, a guard station and even a bakery dating back to 1772 which is still in operation today! Also if you get a ticket to visit here you can also visit Shirley Heights, which is a lookout post that offers insane panoramic views of the entire Harbour. Wanting to stretch your legs? 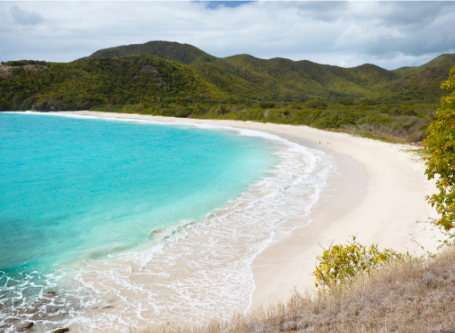 You can go to a place that is described as Antigua’s most beautiful beach & is also a virtually untouched paradise due to its remote location. It is a short drive to the Bay, but you will have to hike down to the beach to reach it, as driving down the dirt track is not recommended. It may take a bit of effort to get there, but to escape this ever-growing world and have a break from the world, it is totally worth it. It wouldn’t be a very good harbour if there weren’t any boats, so it’s a good job there are endless options of fun in the ocean. You can go scuba diving, boat racing, on a relaxing yacht tour, fishing & even kitesurfing! If you want to be out in the Turquoise waters and enjoy the warm ocean then you need to get yourself down to English Harbour. With pristine sandy beaches at Pigeon Point beach & Galleon Beach, you can relax all day, every day!